They say as long as at least one person cares for you. Life isn't a waste. So, when things go terribly wrong and you feel like giving up. 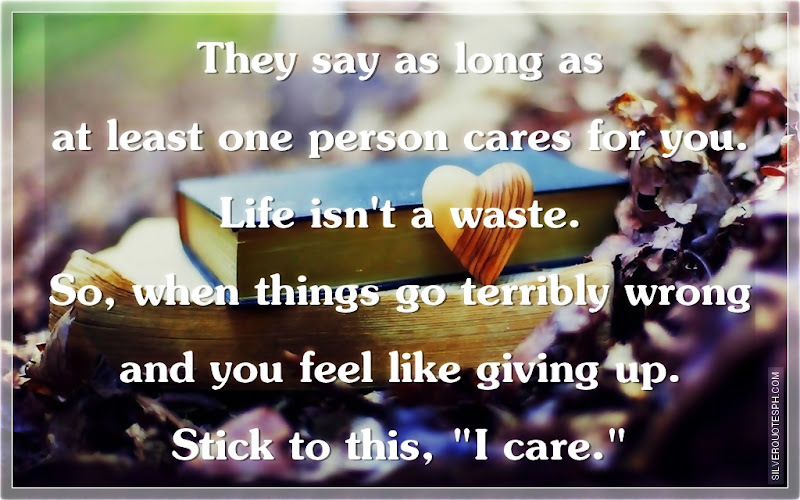 Stick to this, "I care."